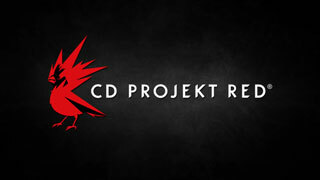 Part of the deal behind CD Projekt Red's government grant is that it produce something by June, 2019. Last year we learned that The Witcher developer CD Projekt Red was given a pretty hefty sum of money from the Polish government to develop its next game. Now, thanks to reddit user boskee trawling through all of the official documentation regarding the grant, we've learned a few things about what the developer has planned, and what conditions have been put on it. The first and most important condition is that all four of the projects funded by the grant (seamless multiplayer, cinematic feel, animation excellence and city creation) must be fully completed by June, 2019. While the studio can apply to have this deadline pushed back, it should give you a pretty good release window for its next game, which we are assuming is Cyberpunk 2077. We know that all four projects will be completed in RedEngine 4, the next iteration of the studio's in-house RedEngine, and it is hiring a boatload of contractors in all different areas of expertise for the projects. In a bit of bad news for Gwent fans, a post on CDPR's Investors forum which stated that CDPR's communication in 2017 will concentrate on Gwent has been removed, suggesting that perhaps the developer is moving away from the title. Either way, the wheels are certainly in motion at CD Projekt Red, and we can't wait to see what they will deliver in 2019!